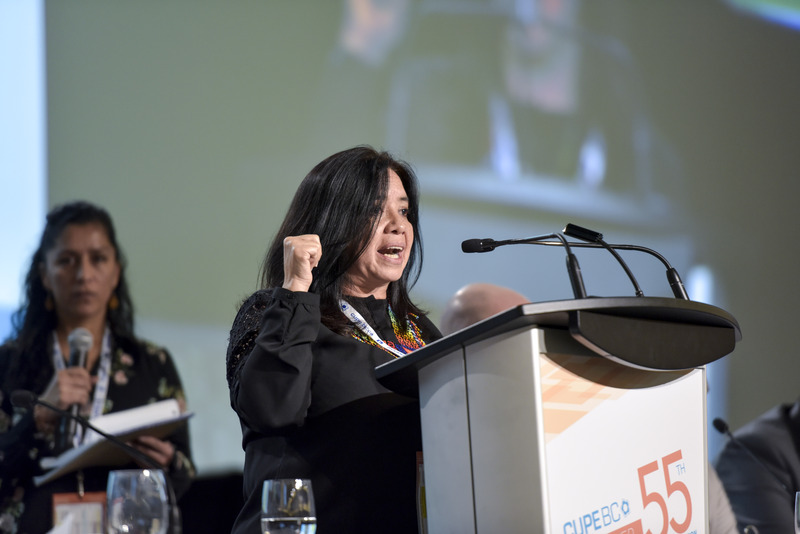 Berenice Celeita, leader of CUPE’s partner in Colombia, NOMADESC (Association for Research and Social Action), attended the CUPE BC convention in April. She sat down for an interview with CUPE just months before the right-wing government of President Iván Duque Marquéz was elected to power. The situation facing social movement activists was dire at the time. The election of Duque makes the situation worse – and the need for solidarity even more urgent. This is a condensed version of a conversation between Berenice and CUPE Communications Representative Dan Gawthrop. Steve Stewart of CoDevelopment Canada provided simultaneous translation. Read the full interview here. DG: One of the most alarming stories is the targeting of trade union leaders for assassination. Has the situation changed? BC: No, unfortunately—though the targets have changed to an extent. Before it was trade union leaders, then journalists. Now it’s community leaders protecting territories. Since December 2016, when the peace accords were signed, 285 community leaders and human rights activists have been assassinated. DG: Are trade union activists still at risk? DG: What’s driving all this? BC: The economic model on which the government is basing its development and its agreements with international forces, which is incompatible with the development models of the campesino, Indigenous and Afro-Colombian communities. The shift to targeting territorial activists is linked to the conflict with the transnationals starting to come in and wanting to operate in those territories. From 2010 until now, the Colombian government has signed 17 free trade agreements. The first one was with Canada. DG: How dirty are Canada’s fingers in some of this activity? BC: Canadian capital has been expanding in Colombia since the trade agreement, obviously the largest area is in mining, but they’ve also been investing a lot in privatizing public services. For example, water services holding companies are buying up things like dams or mining concessions. They have capital from Canada but also from many other countries and they are put on the stock exchanges. This doesn’t necessarily mean that they’re ordering the killings or that they’re directly involved. But if they’re operating in the areas where the violence is happening and they’re saying nothing, well, they’re covering it up. DG: What can CUPE and activists do? 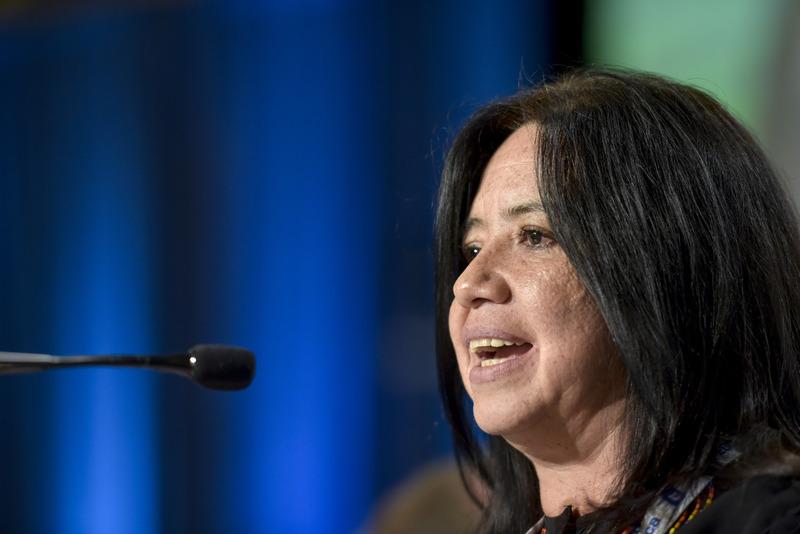 BC: For Colombia, it’s very important to make visible at the international level what is going on since the peace agreement was signed, and to insist to the government that communities and social organizations be incorporated into the peace process. We need activists to insist with the Colombian government and the Canadian government that the concept of free, prior and informed consent be respected when engaging in territories that will affect communities’ livelihoods. We need to continue to support the work of training youth and community activists to carry out research and community organizing and it’s very important to keep sending labour delegations to Colombia to visit us and see with your own eyes what is happening. I am convinced that I am alive today because of the actions of solidarity.